Love A Blog? Do This - Comment! Love a Blog? Do This – Comment! When you read blogs, you may notice that there is usually a section below every post that says “Comments”. Have you ever left a comment on a blog post? Before I started blogging, I rarely did. Why leave a Blog comment? Did you know that you can also reply to other’s comments on a blog post? Commenting and replying to other’s comments are a great way to share experiences, opinions and connect with people out of your immediate circle. This has been one of the most fun and gratifying parts of participating in these online conversations for me. There aren’t many of us who are in the blogging business just to pontificate and throw a bunch of random information and opinions out there. We love to hear back from our readers! We want to connect with you and have a conversation with you. When you comment, most of us comment back! It helps us know what posts you are connecting with. For example, this post about my difficulty in getting an ultrasound after a questionable mammogram really touched a cord. I had SO MANY comments from women with similar experiences not only with mammograms, but other medical procedures as well. That tells me that I need to do further research into this topic and do more posts about it, as it is obviously a topic that touches a lot of my core readers. It helps our analytics. Now – this is not the only reason or the prime reason, but I’d be remiss if I didn’t lay it all out for you. Most bloggers use a tool called Google Analytics that gives us all kinds of information on how our blog is doing. One thing that GA measures is how long a reader stays on a page on our blog. If you are commenting, you are staying on longer. Potential advertisers look not only at how many followers we have, but also how ENGAGED our followers are. The number of comments we get is an indication of follower engagement. So, there you have it. Have you ever commented on a blog post? Will you start now? Is there something that surprised you about why comments are so important to a blogger? Would love to talk about it with you! Love a Blog? Do This-Subscribe! Love this! I try to comment on blog posts that I enjoy. I’ve been blogging for about a year and I find it hard to get people to engage (that aren’t coming from a linky or such.) It makes me feel like they don’t want to talk to me or something. It’s great to get the word out that we like comments so we can see what the readers like (or can engage with them directly) Keep up the good work! Jessica – I think people just don’t know. That’s who I am writing this series for – people who DON’t blog. Hopefully it will get shared a lot and friends who like our blogs will engage. Thanks for commenting! I think you are correct, people just don’t know how much commenting means to the blogger. This post is great to let non bloggers know why that comment means so much! Hopefully, this post will “educate” our readers and we’ll get more comments! Thanks for reading and commenting, Rosie! I am so very glad you posted about this! Yes, bloggers love reading comments. It’s the best way to show loyalty and engagement. Great post my friend! Thanks, CarolAnn! I am writing this geared to my friends who don’t have a clue about blogging. They are just like I was 6 months ago before I started blogging! Glad you enjoyed it. Maybe we’ll start getting comments from people other than other bloggers! LOL! Thanks for sharing our SVS linkup button. I sooo agree with you on commenting, I love hearing from my readers as well! If I visit a blog, I always leave a comment, I didn’t think about it helping GA but I do love to support others by expressing my opinion. I know how much time it takes to write a blog post and it’s nice to hear from readers so we know our work/time isn’t wasted. Thanks for sharing with Small Victories Sunday Linkup. Pinning to our linkup board and hope you found some great posts to visit this week! Tanya – I did find 4 great posts – left comments on them and shared. The one about cleaning the oven with no chemicals was just what I needed! Glad you enjoyed our post. Hopefully word will get around and more people (besides other bloggers) will comment! Yes!!! Most of my traffic comes from outside the blogosphere so I get very little comments unless I participate in link parties. (WAYWOW is my rock!) I try hard to leave something for the author when I read posts I enjoy or can share with others. Thanks for bringing attention to this! I do too – hopefully more people will start commenting. Thanks for reading and commenting, Kathryn! Thanks for writing this. It seems like blog posts that are political in nature get hundreds of comments – mostly because people are all fighting with each other. But posts with real substance get little engagement. I think you are right about that, Bill! Hopefully this post will encourage others to engage on other topics! Thanks for reading and commenting! This was well written, Cathy! Prior to me changing my blog format and topics, I had so many posts that never had any comments. I’m finally getting more and I answer them all. I love connecting to my readers! I love that you read my blog, Nancy – thanks for leaving a comment! Yes! I love the comments..I love the interaction. It is one of the most satisfying things about blogging. Kathy – I feel exactly the same way! Amen to comments on blogs! I love it when my readers share their stories! We all learn so much from each other. Yes – one of the great blessings of blogging, Ellen! Comments are so awesome, not only for the author, but for the commenter as well. When others read your comment, it may inspire them to visit your site, thus you gaining a new subscriber. Great tips! All true, Bren – thanks for reading and commenting! Not only do I enjoy getting and leaving comments, but also reading other people’s comments. Yes – a great way to gain a different perspective or find people who think like you do! And I thank you for commenting, Cheryl! I love it when someone comments Cathy – otherewise you wonder if anyone is really reading it! A good reminder to everyone. Thanks, Sue! We love those comments! I love those connections too! AnneMarie – it sure is! I love the conversations and relationships that have formed since I started blogging. Thanks for your sweet comments! Cathy it seems that your post is working. You are getting lots of comments. Well, writing a blog post about commenting is ONE way of getting comments! LOL! Yes – it is affirming to get a response. Thanks for stopping by, Jessica! Hope this post educates some people! Thanks for stopping by! Good points. I’ve never thought of the connection between GA and commenting but it makes sense. Visiting from Welcome Home Wednesday. Thanks so much for stopping by, Victoria! I do my absolute best to read as many blogs as possible on link parties and try to make useful comments. But I wish my readers would do the same on mine. Readers and comments never add up. Suzi – most of my comments do seem to come from other bloggers. I don’t think non-bloggers are aware of the need for comments. Hopefully this post will serve to educate everyone! Good tips! I try to comment on just about every blog post I read. A pet peeve of mine is when you comment on someone’s blog over and over and they never respond at all. 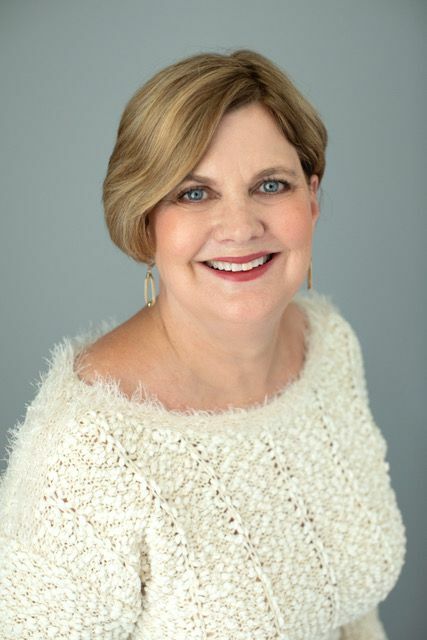 If you want your readers to stick around, you have to connect with them! Hannah – I totally agree! This is so cool! What a great idea using a separate email for the blogs you sign up for. We all need to get this out there. Thanks so much! Thanks for reading and commenting, Sherry! Hope you are doing well! LOVE this. Thank you for sharing such great insight on commenting. I’m a big proponent of commenting and replying to my readers comments because as you said: it helps us bloggers tremendously. Not only do we connect with our readers this way, but it helps us reflect on the pieces we actually put out there. Saying hello from Tuesday Talk! Maria – yes – we have to get the word to to our readers about what comments can do for them AND mean to a blogger. Thanks for reading and commenting! Thanks so much, Maria. Hopefully the post will encourage our readers to comment. Before I started blogging, I just didn’t know to do that! Next week’s post will be about SHARING our content! Love a Blog? Do This! Subscribe! Me either and really the only comments, except every once in a while, is from fellow bloggers. Oh well, hopefully my post will educate a few people. I didn’t know to comment before I started blogging. I’m really bad at forgetting to leave a comment, but I’ve been trying to “do unto others” and stay engaged. It’s been fun! Part of what I love about blogging is the comments received. It is such and enjoyable experience to connect with others and hear suggestions and perspectives I may not have thought of. Great post! So true – I love that I have met so many people through the comments they leave on my blog, Melissa! Well stated…I had to share.It is always a little confusing when someone mentions they have actually READ my blog posts but there is not a comment in site? It is not an ego thing but you want to know what your readers think. Was the post helpful? encouraging? Or did it make you mad? Feedback is the fuel that helps to keep us sharing our souls to the world. Thank you for doing this series Clawdanski. I will be sharing to get the word out!. Have a wonderful week and may God bless you and yours! Thank you, Horace. I know before I started blogging, I didn’t realize you were even supposed to comment. Hopefully the series will educate our friends who are not bloggers. Thanks for reading, commenting and sharing! Pamela – I think if we all comment on a few each day, that ends up being a lot of blog comments! Thanks for reading my post and commenting! So true, so true! I always try to leave a comment to let the blogger know and show appreciation! And you know, Katie – I really didn’t know about leaving comments until I started blogging! Thanks for leaving a comment for me! Great post. 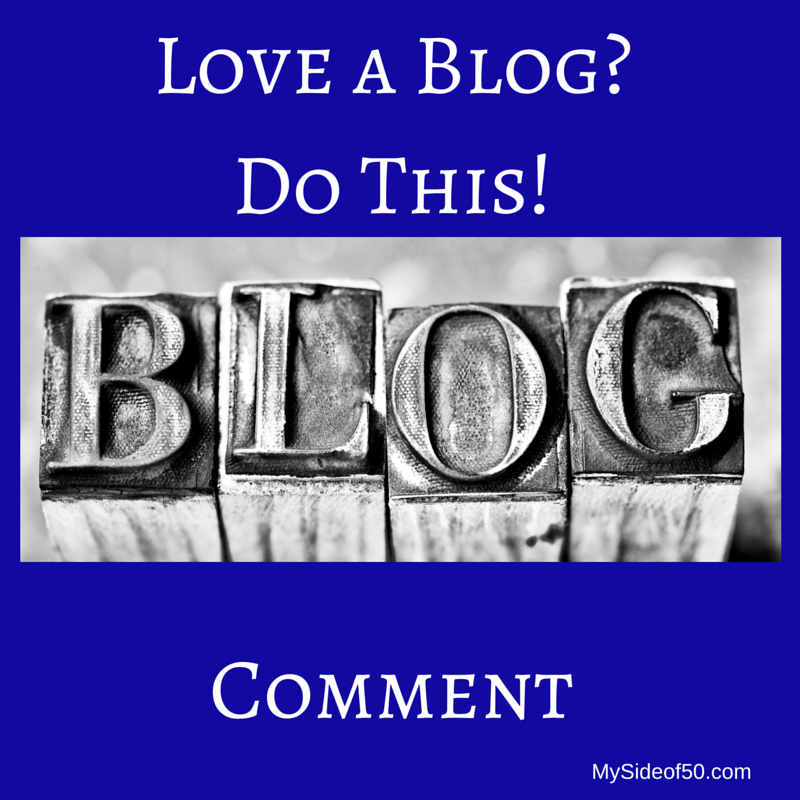 We do love comments and I wish more bloggers would take a moment to comment and share. It’s good for all of us when people take the time to comment and share.